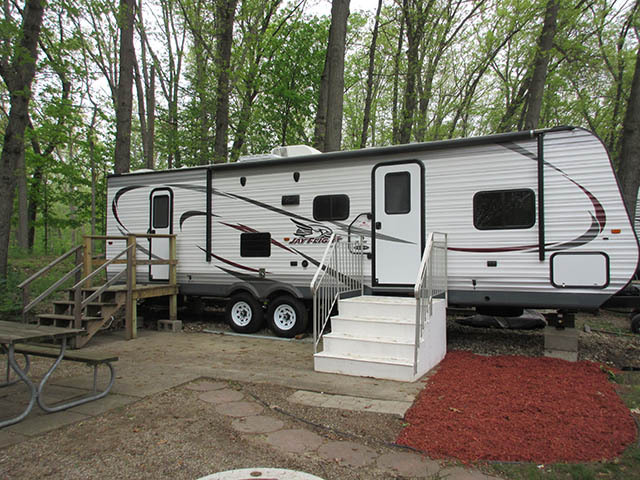 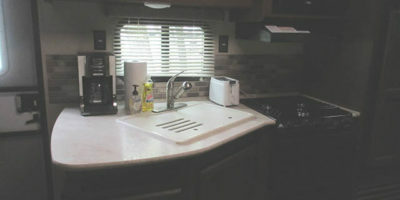 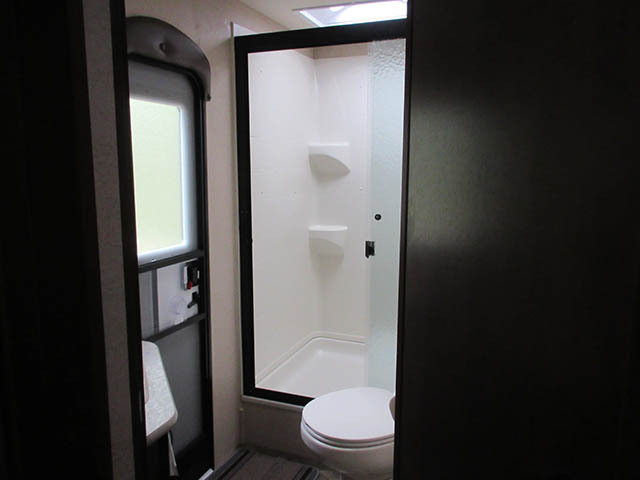 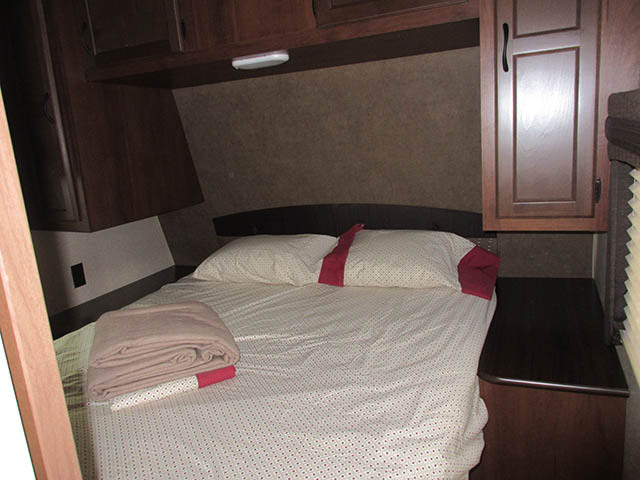 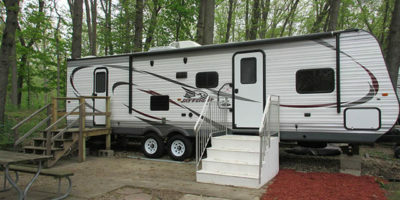 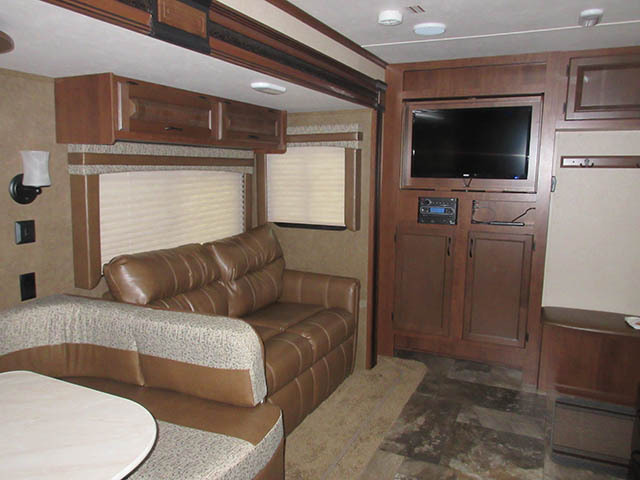 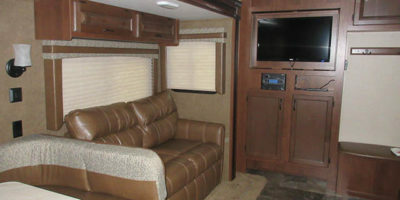 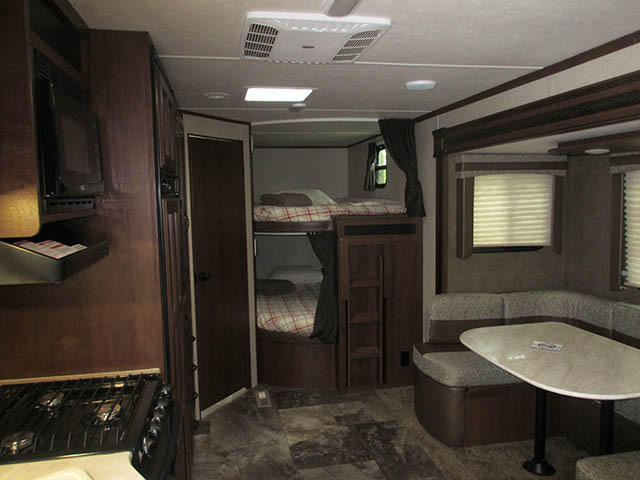 Our Rental Camper is a park model size unit and has 3 slideouts. 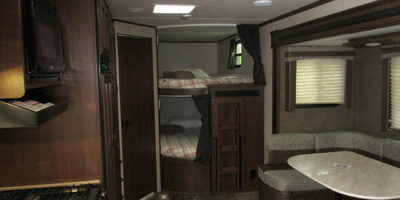 The rental camper sleeps 6 people with a set of double bunks and a queen size bed. 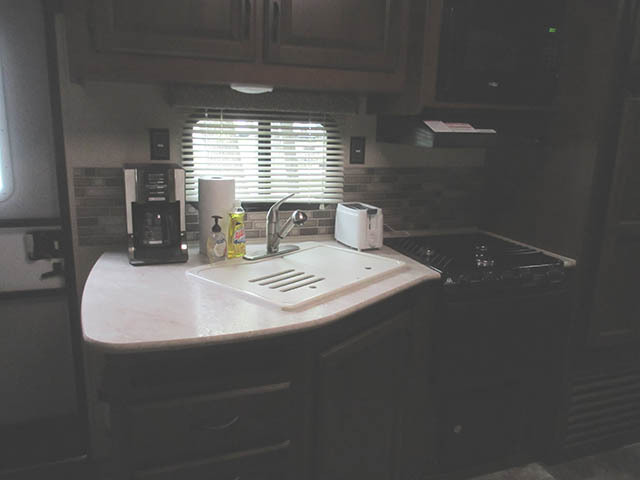 It has a full kitchen and bathroom as well.